When the runoff is too high, find the small creeks and have fun! 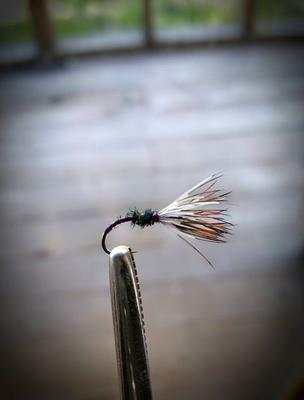 Purple thread kebari with a simple peacock hurl thorax. Typical for today, no complaints here. Even this little guy put a decent bend in the rod. 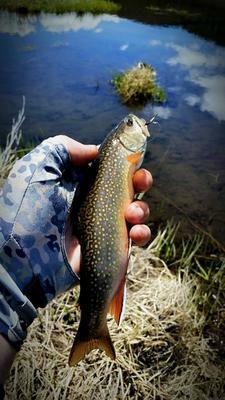 Went out today to fish near Hartsel, CO only to have really high flows put a damper on the usually great fishing there. Water was too murky to fish effectively. I did decide to go to one of my favorite places to fish near Alma, CO and found a few of my little creeks and beaver ponds that always seem to produce. Today was no exception. 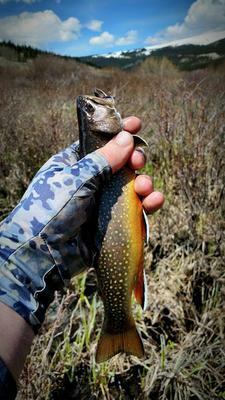 Armed with a Nissin Zerosum 390 7:3 I had a blast on 6-12" brook trout for over 4 hours. I used a simple kebari and it did it's job well. Most of my success is based on the input that Chris Stewart has graciously shared and put together on his site. 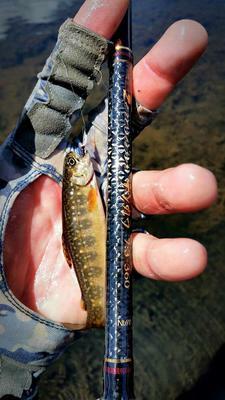 I send many people your way to discover tenkara for themselves.